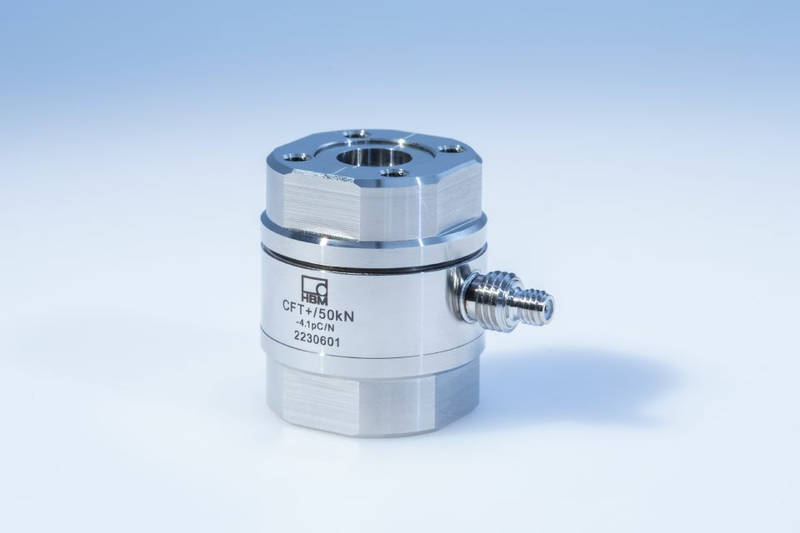 HBM’s new PACEline CFTplus series of piezoelectric force transducers is designed for making measurements in the production and manufacturing sectors. CFTplus sensors are particularly suitable for covering very large measuring ranges, such as when using presses with a large measuring range. The CFTplus series’ piezoelectric force transducers are calibrated for three measuring ranges and so can be used immediately upon installation. Its sensitivity is specified in three measuring ranges (1%, 10%, and 100%) to guarantee a wide range. The CFTplus series force sensors have a minimal displacement, which is why the fundamental frequency is immensely high. Therefore, they are particularly suitable for measuring fast processes, such as press-fit processes. The EMC-tested force measuring elements are manufactured from rust-resistant materials.